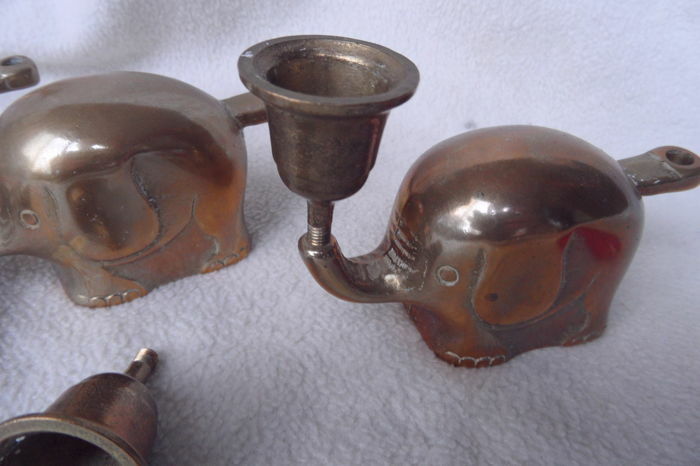 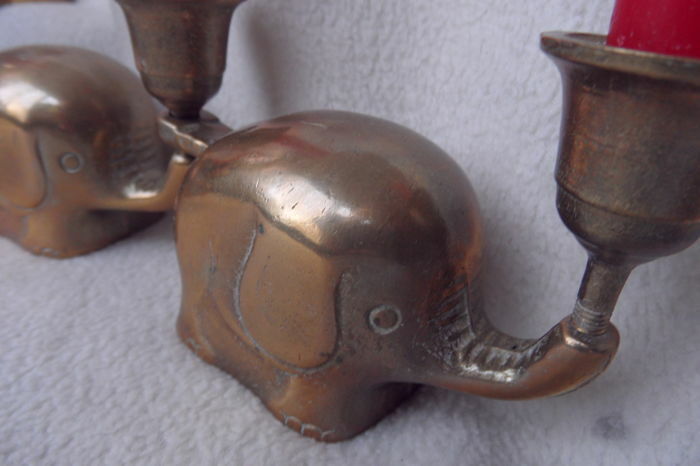 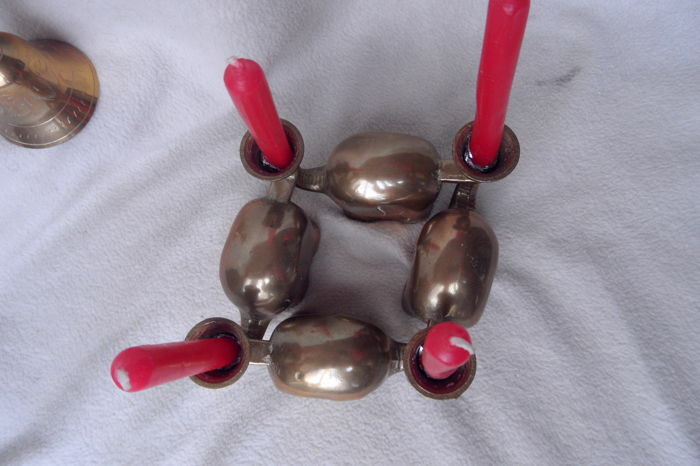 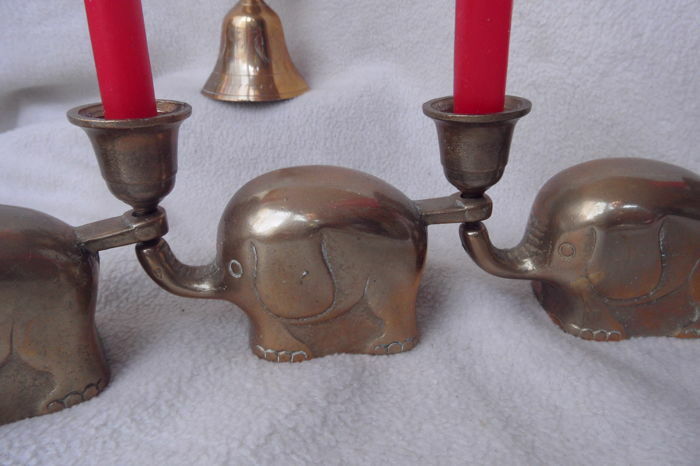 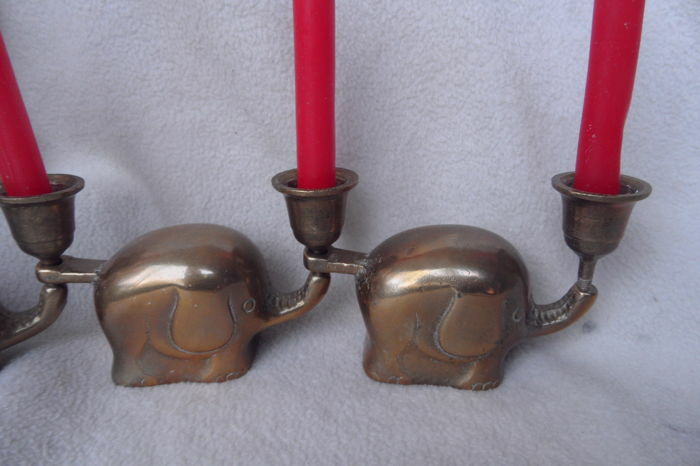 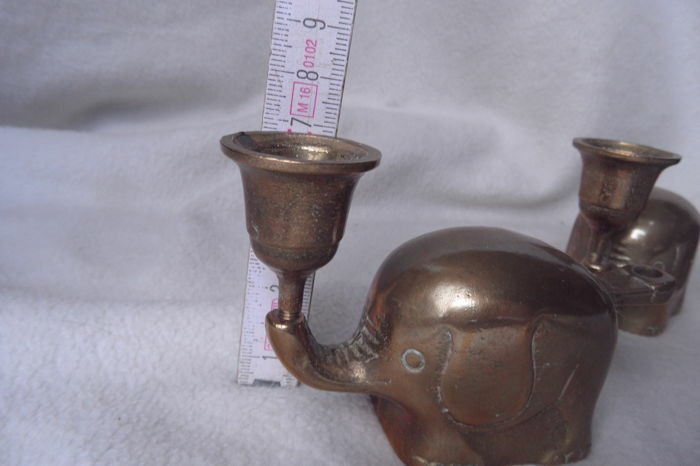 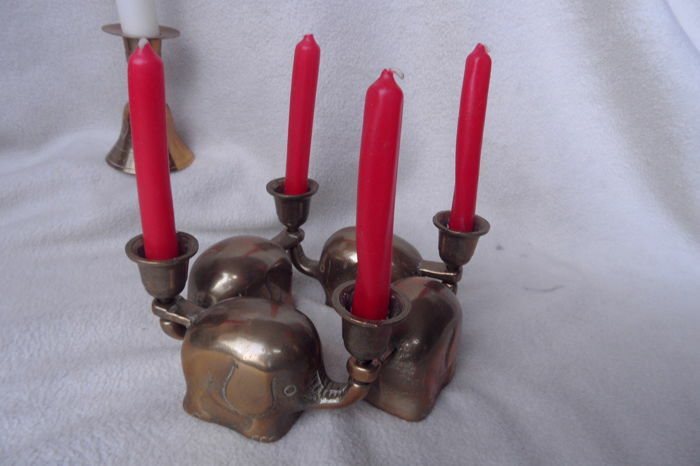 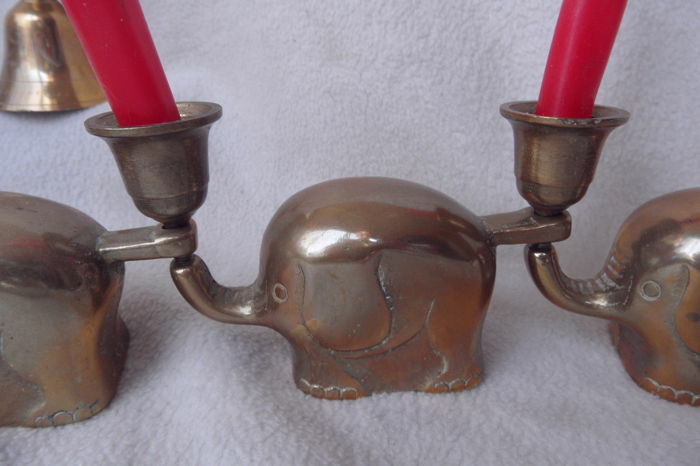 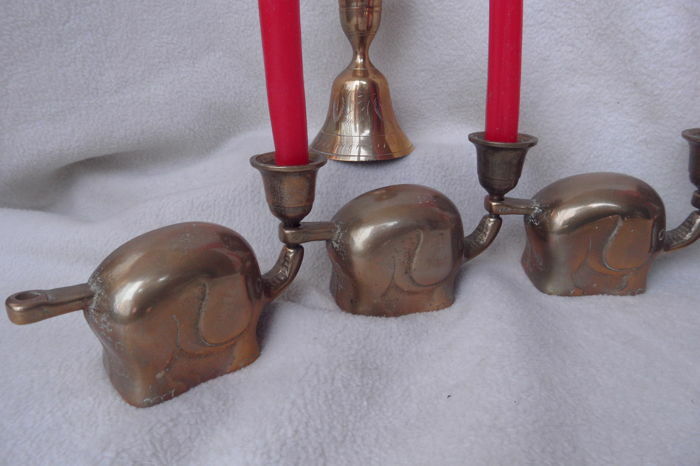 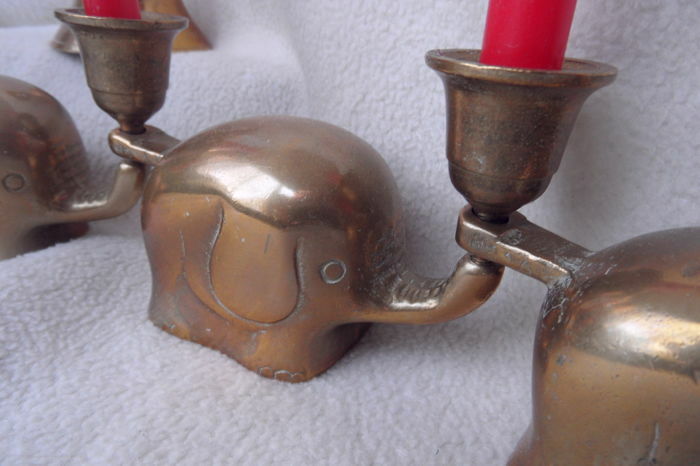 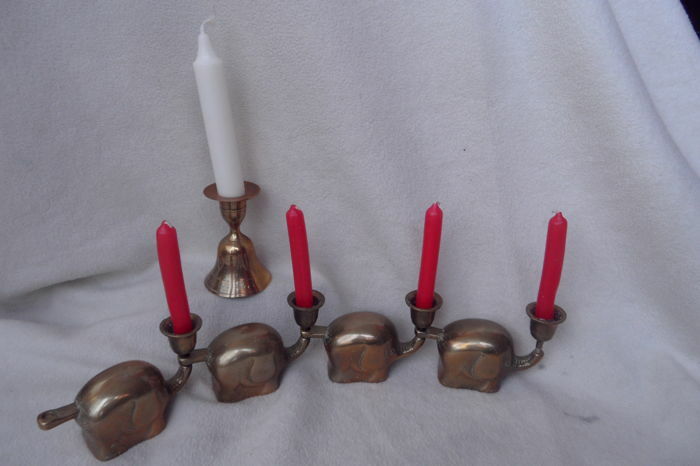 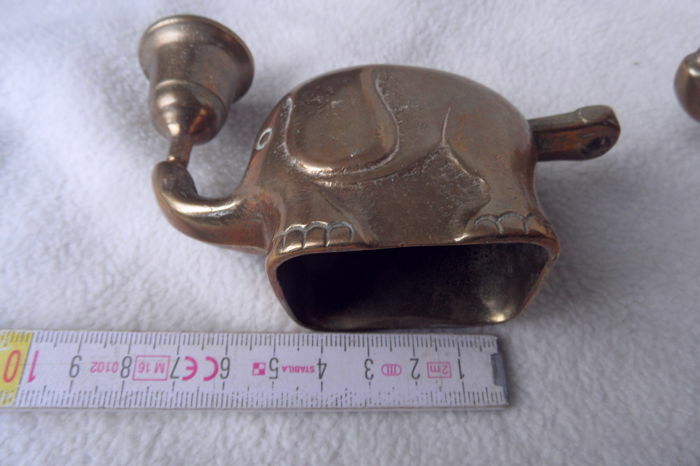 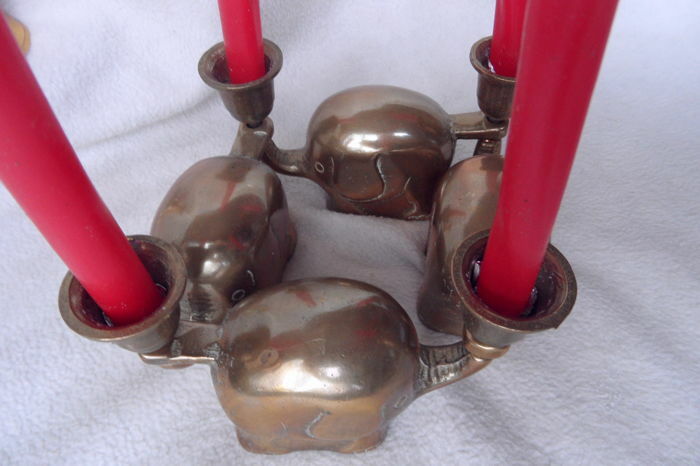 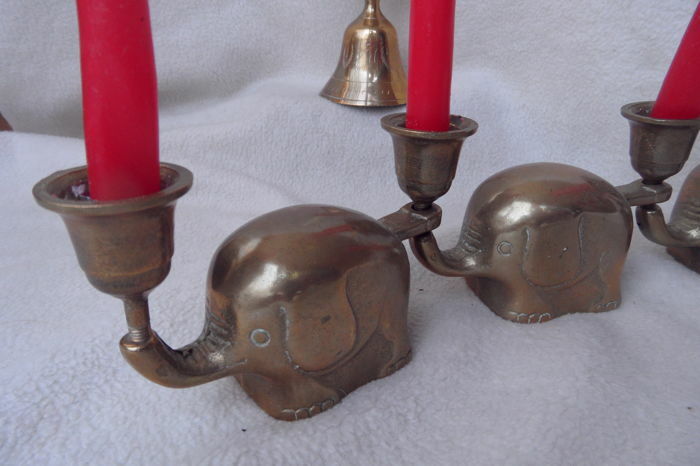 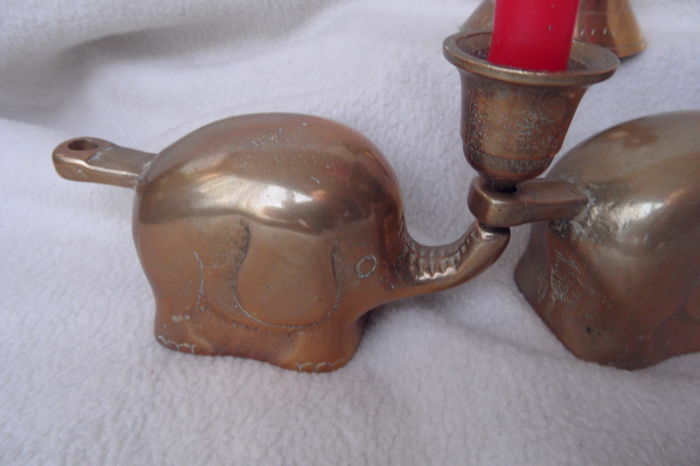 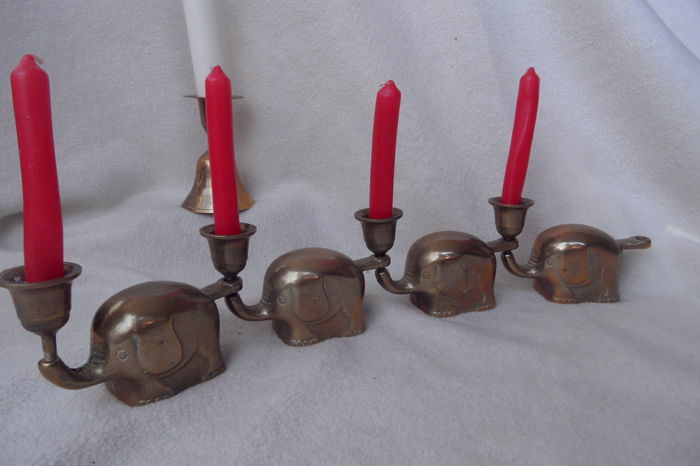 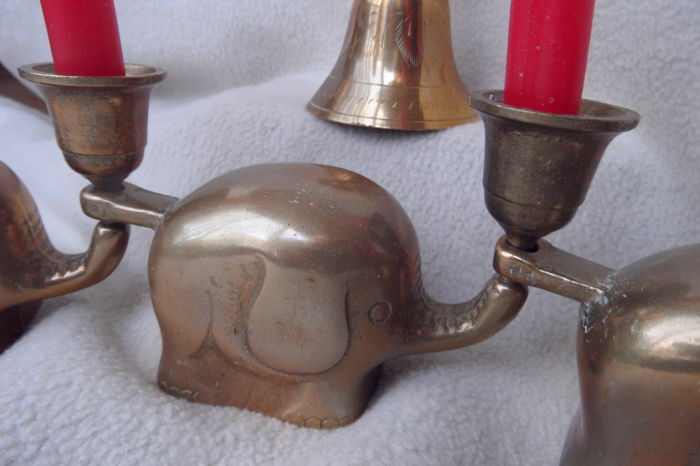 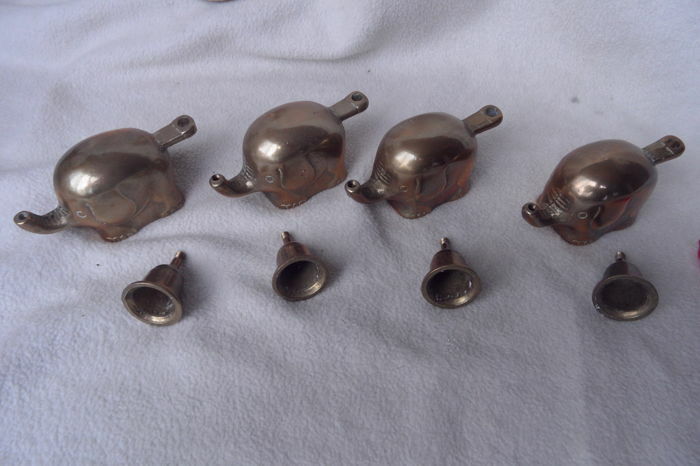 Elephants candlesticks linked and table bell with candle holder. 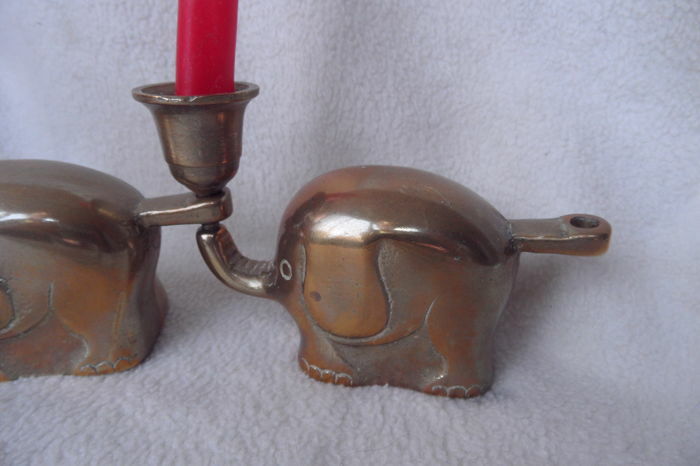 Elephants can be linked together. 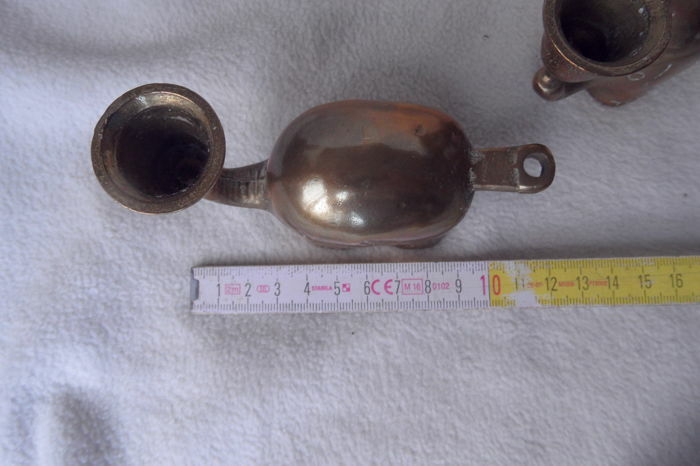 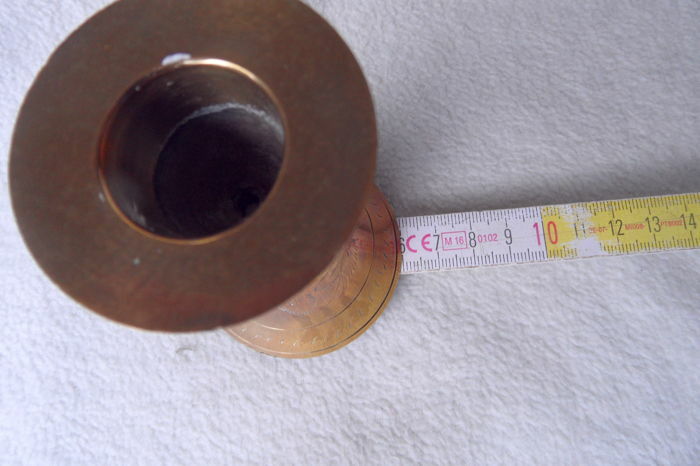 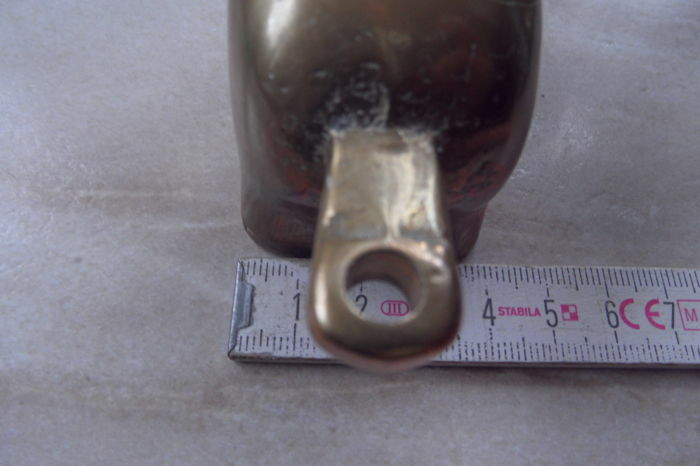 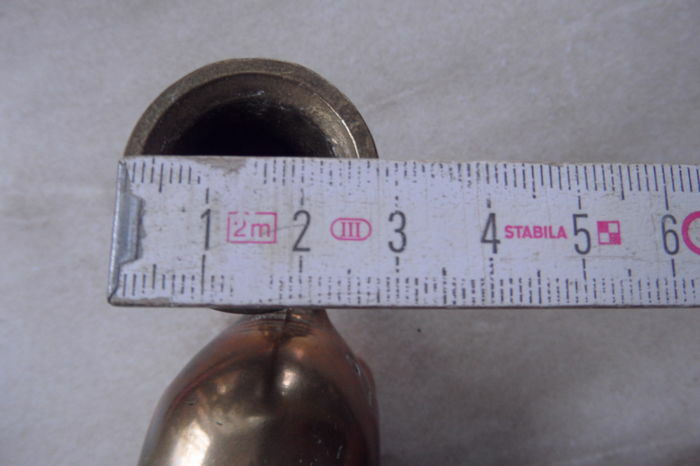 Total height around 7 cm, width around 40 cm. 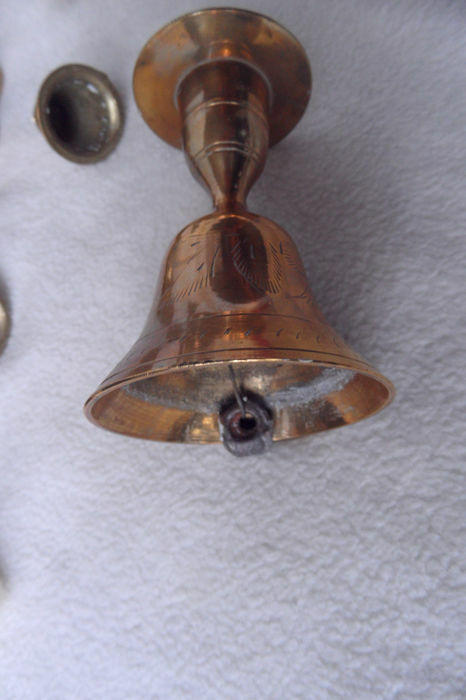 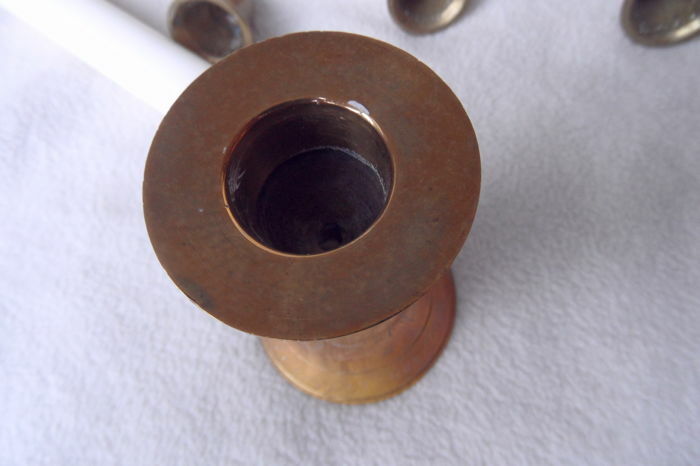 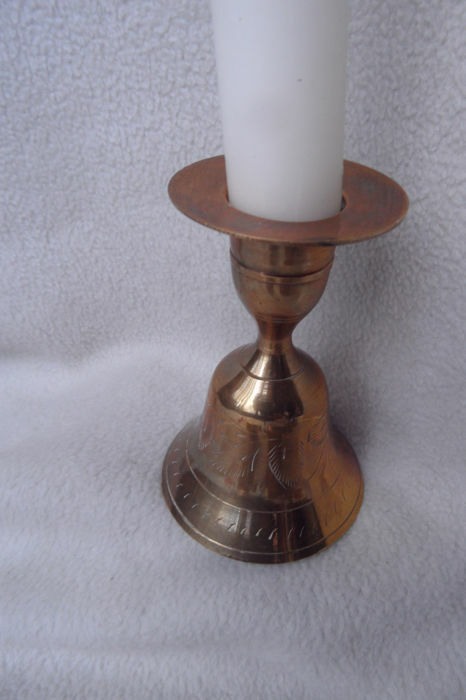 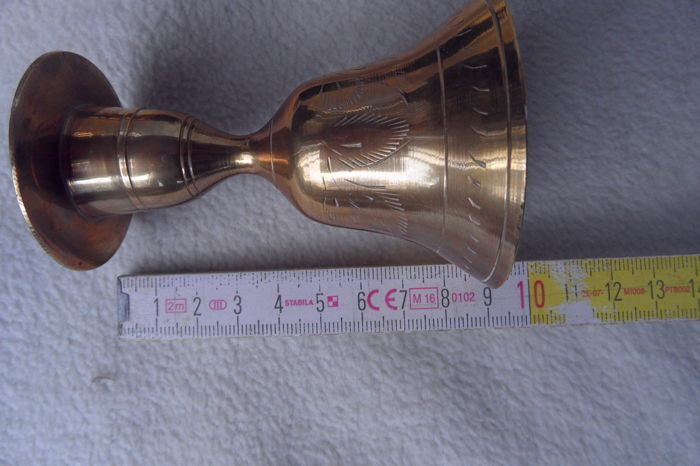 Included a table bell with candle holder.